When you're looking for a practical compact car, at a great price and with all the features you want, look no further than the 2019 Kia Forte! 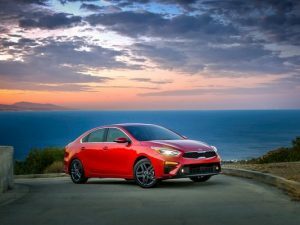 The 2019 Kia Forte was debuted at the Detroit Auto Show. The redesign is nothing short of dramatic, the Forte evolving from a cab-forward design to a sedan that is decidedly swept-back, bordering on the four-door coupe-ish. When will Canada get it? Spring 2018.